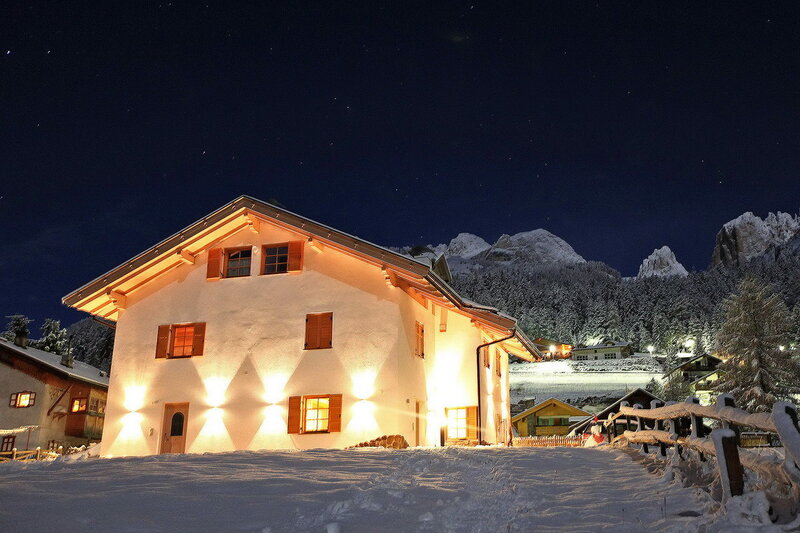 If you want a dream vacation in full relax, immersed in the magical nature of the Val di Fassa, surrounded by the peaks of the Dolomites, in a typical mountain apartment furnished with taste and style, then you’ve come to the right place. The Val di Fassa offers spectacular scenery and unique in the world for its mountains, the Dolomites, the summer of 2009 also became a UNESCO World Heritage Site. The Val di Fassa is wonderful in all seasons and our apartments are open all year round, just to be able to enjoy the charm of the Dolomites all year. 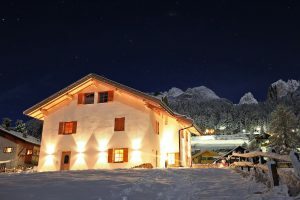 Chalet Nata is a small mountain lodge in Larzonei (Larcionè in Ladin). It hosts two tourist apartments on the ground floor (Orione and Polaris), one master apartment on the first floor and Fassacom Studio on the top floor under the mansard roof. The house is easily accessible and has a large entrance yard with five parking spaces for the apartment patrons. Every apartment has an independent entrance. In summer the house features a large grassy courtyard for enjoying life in the open air, sunbathing, reading a book under the parasol or organizing a summer barbecue.